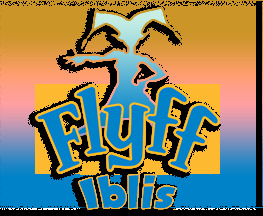 There are multiple ways on how you can play Flyff Iblis on mac. I'll try to list down all that I've tried including its pros and cons and the general steps for each option. * Boot Camp is free. * Similar experience playing on windows. Hardware capability is not limited. * It will cost you. While Boot Camp is free, windows license is not. * It will eat up a huge chunk of your disk space. You're basically creating a partition here for Windows. 1. Run Boot Camp Assistance on mac. 2. Boot Camp Assistance is user friendly, you can just follow the default steps. 3. There are already a lot of video tutorials on youtube on how to setup Boot Camp. Search for the windows version you prefer. Here is a video from 9to5mac for Windows 10. This is the best option if you don't mind spending a couple of bucks for Windows license. Best gaming experience compared to other options. * Gaming experience is almost the same as Boot Camp but hardware capability is limited. * No need to reboot machine if you need to switch to mac. You're basically running a virtual machine. * It will cost you more compared to Boot Camp. You need to buy Parallels license and Windows license. * It requires the same amount of disk space as Boot Camp. 2. For a better step by step procedure, watch this video from MarkAppleTech on how to setup Windows on Parallels. I prefer this over Boot Camp simply because I can still do other things on macOS while playing Flyff. I don't have to lose my party or my vend when switching to other OS, just a quick swipe to left/right then you're on macOS or Windows 10! Gaming experience is limited compared to Boot Camp but if your machine is capable enough then you can open as many Flyff client as you can. 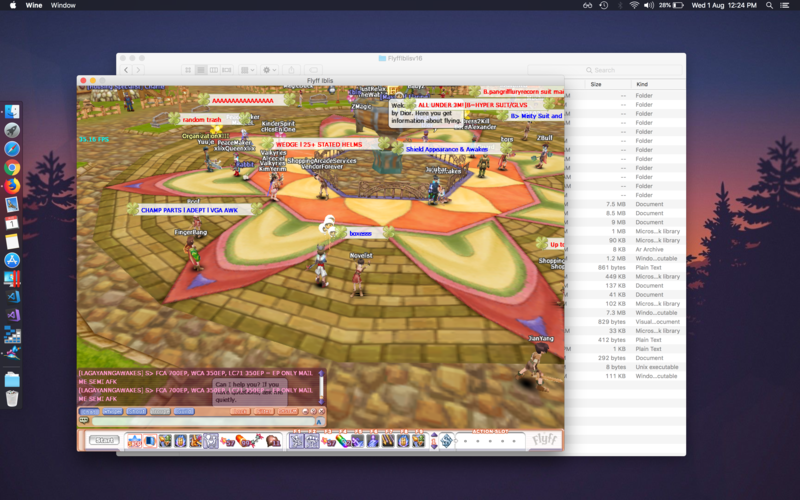 There are other virtualization apps for mac like virtualbox, & vmware. You can try them but for me, knowing I have to dish out cash, I did a little googling and Parallels Desktop came on top of them based on the things that I'm looking for. * Gaming experience is not good. * Wine requires XQuartz so go download and install it first. * Then download and install Wine. Always get the stable version. * Download 7-zip installer of Flyff. * On your first run, it will look for Wine Mono and Wine Gecko. It will popup and ask for permission to download. It's free so don't expect a good support and quality of software. If this suits you and willing to try out a better experience then try Crossover, its a paid version of Wine. You can also try Wine from kronenberg, its the same app but he adds his customization before packaging it. Check out this screenshot before you try this option.